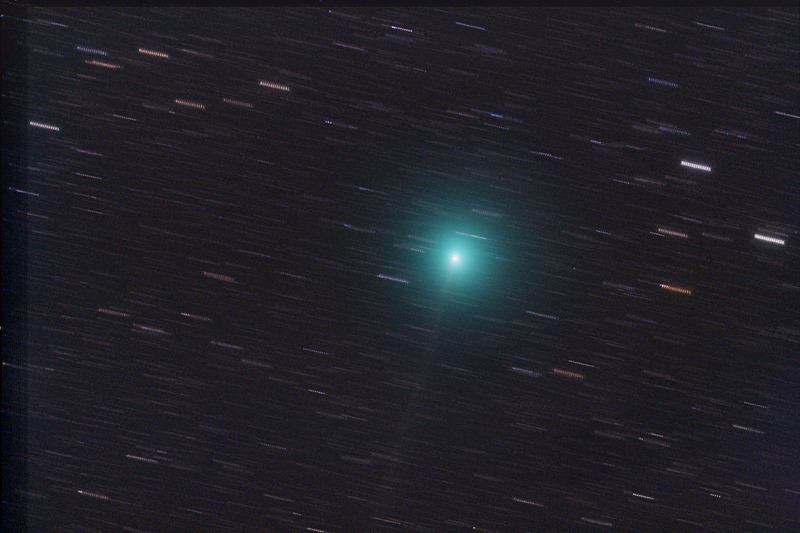 January 6, 2008 between 18:33 and 19:44 UT from Beilen. 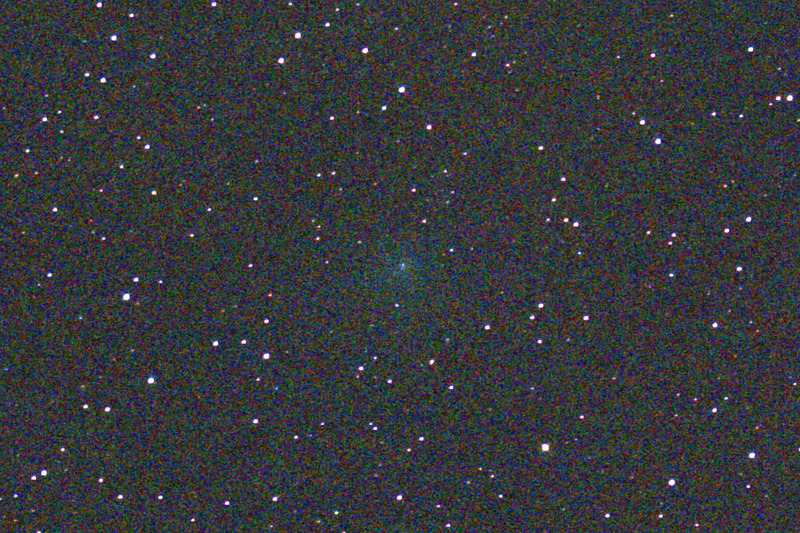 59 - 60-second exposures with a modified Canon 350D, set at ISO 1600, through a 20-cm f/2.75 ASA astrograph. SQM reading was mag. 20.0 / sq.arcsec. It is moving real fast now! 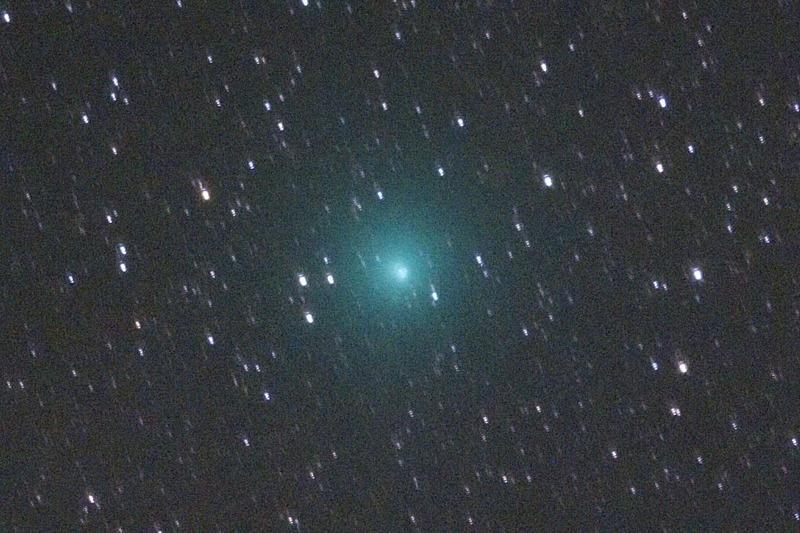 50% crop of the top image, I guess this is my last Tuttle image this apperition, it is too low in the sky for me now. January 6, 2008 between 17:20 and 17:55 UT from Beilen. 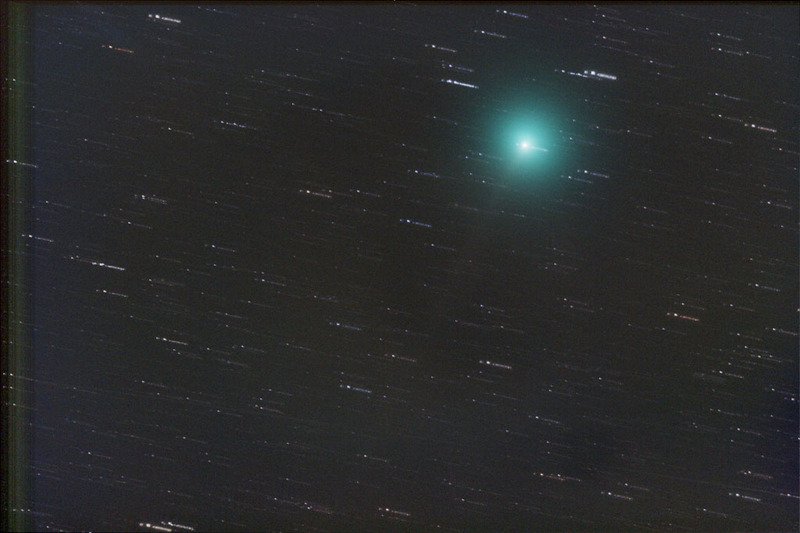 30 - 60-second exposures with a modified Canon 350D, set at ISO 1600, through a 20-cm f/2.75 ASA astrograph. SQM reading was mag. 20.0 / sq.arcsec. SQM reading was mag. 20.0 / sq.arcsec. 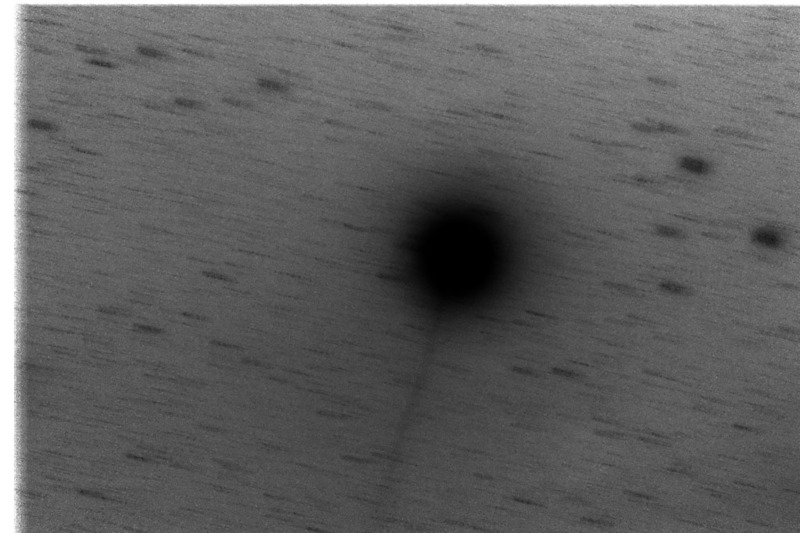 This is a negative image to show the faint tail. December 29, 2007 between 17:57 and 18:29 UT from Beilen. 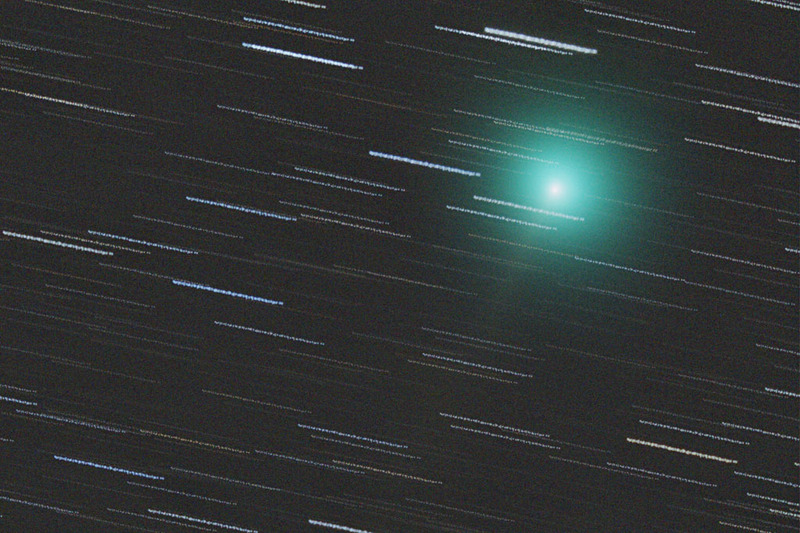 15 - 120-second exposures with a modified Canon 350D, set at ISO 800, through a 20-cm f/2.75 ASA astrograph. SQM reading was mag. 20.0 / sq.arcsec. 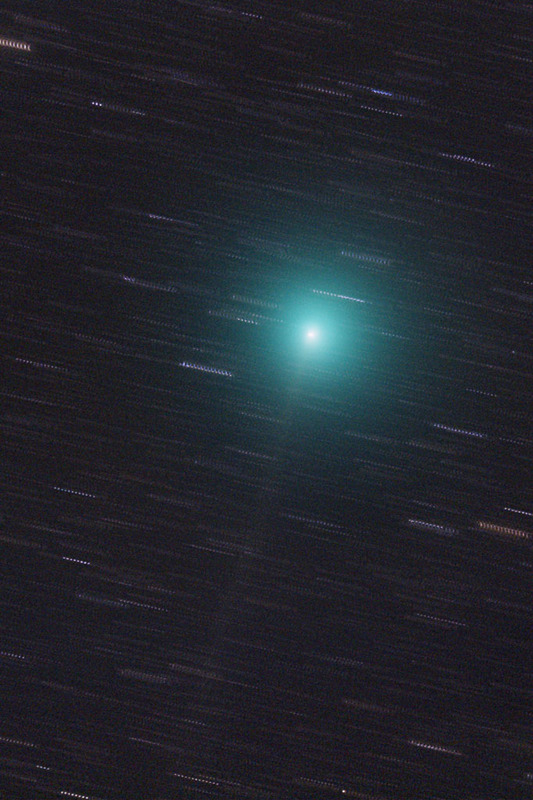 Still the sub-exposures were too long, the comet is not completely sharp due to its motion. 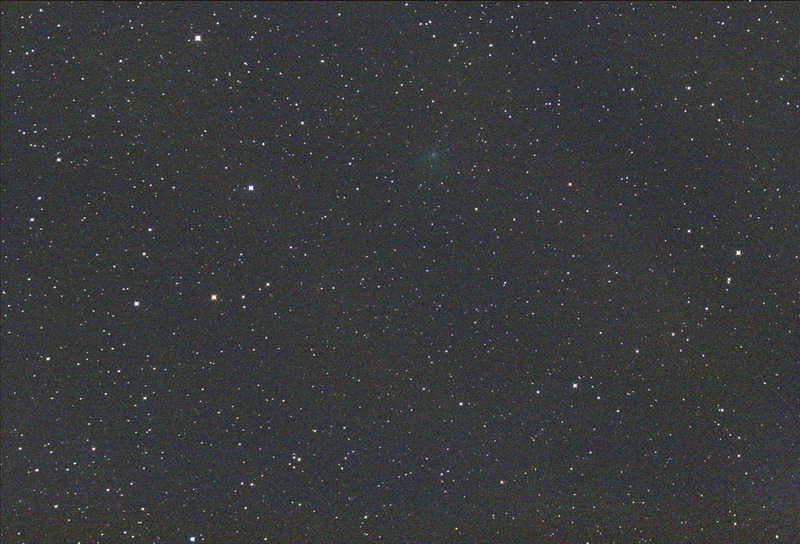 Combination of a stack on the stars and a stack on the comet, unfortunately a lot of the tail is lost in the process. 50% crop, The tail is much brighter now. Due to the equatorial flip of the mount, North is on the other side compared to the images below. 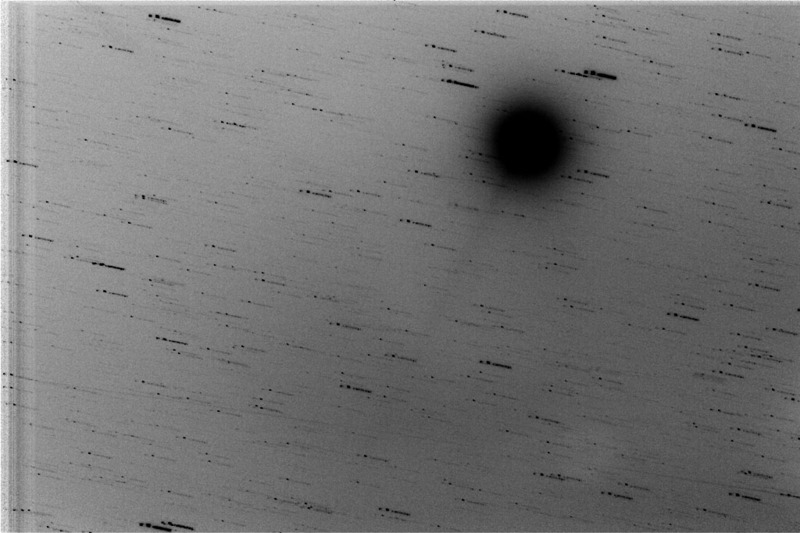 Negative view of a median stack, the comet is isolated from the star trails now. December 15/16 between 23:41 and 0:23 UT from Beilen. 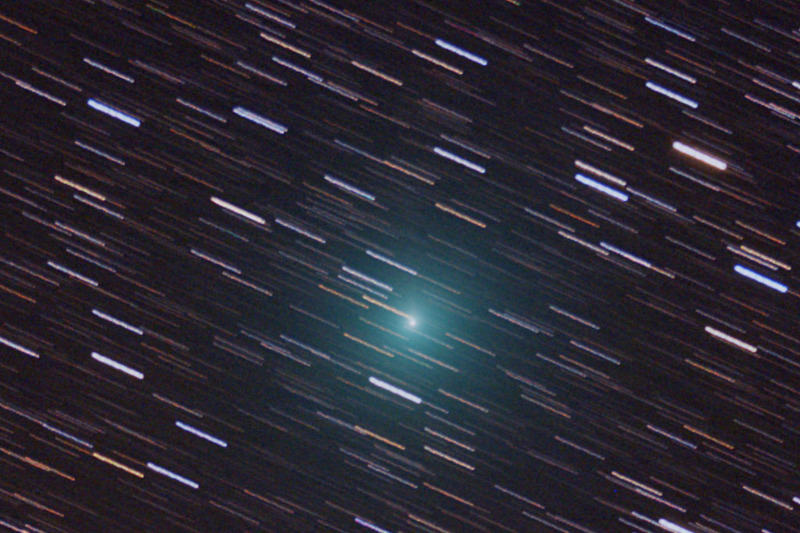 30 - 60-second exposures with a modified Canon 350D, set at ISO 800, through a 20-cm f/2.75 ASA astrograph. 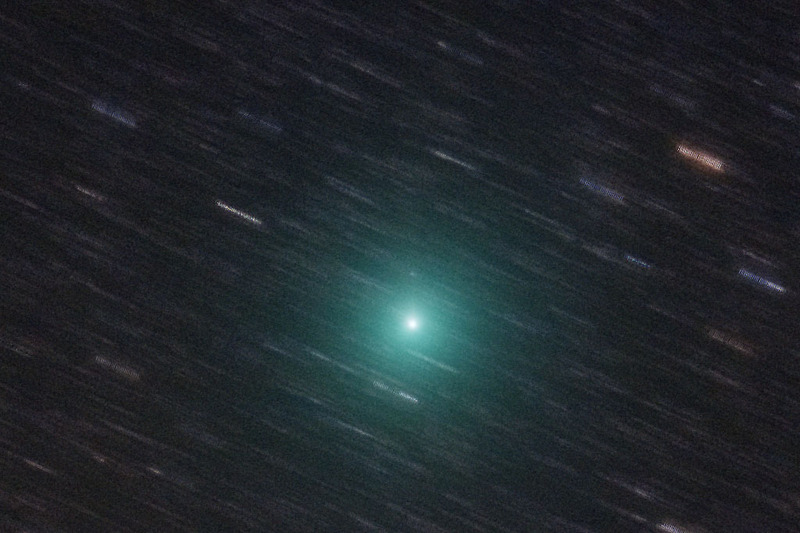 100% crop, a faint tail pointing east is visible. 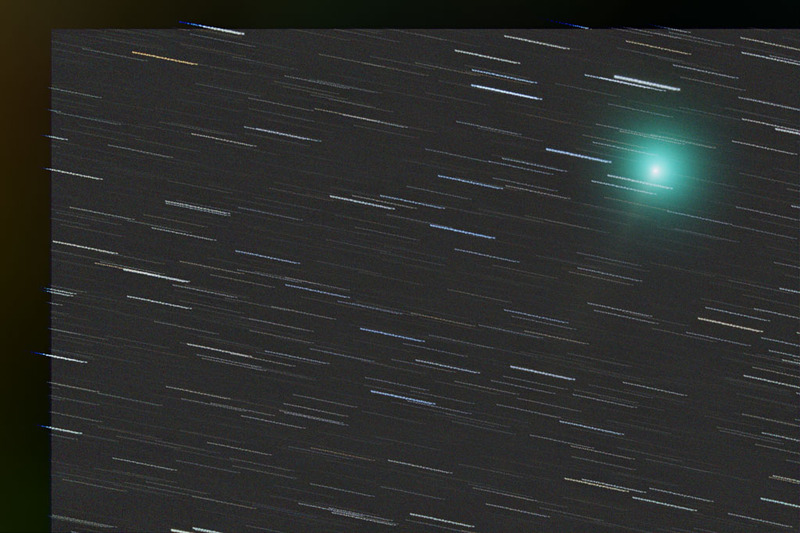 Full size crop, Sigma Average combine to get rid of most of the stars. 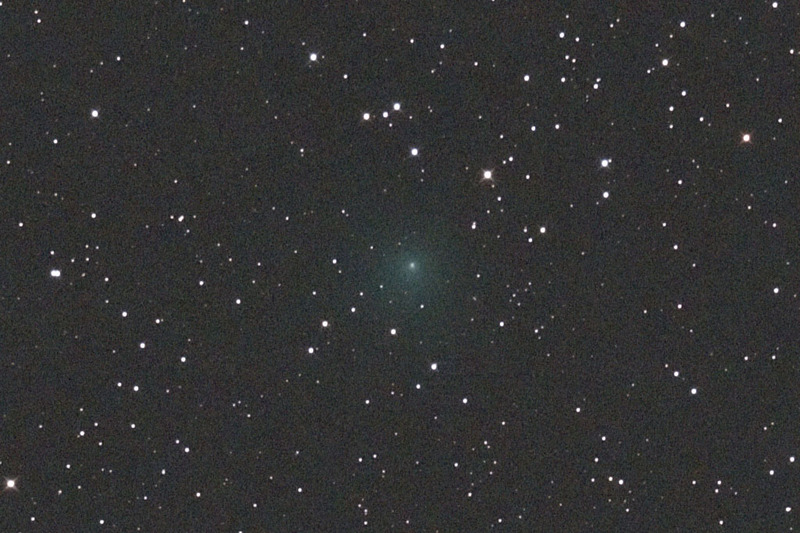 Registered on the stars, to show NGC40 in the top right corner (just above the 100% scale inset). It's a planetary nebula. December 11, 2007 between 19:18 and 19:29 UT from Beilen. 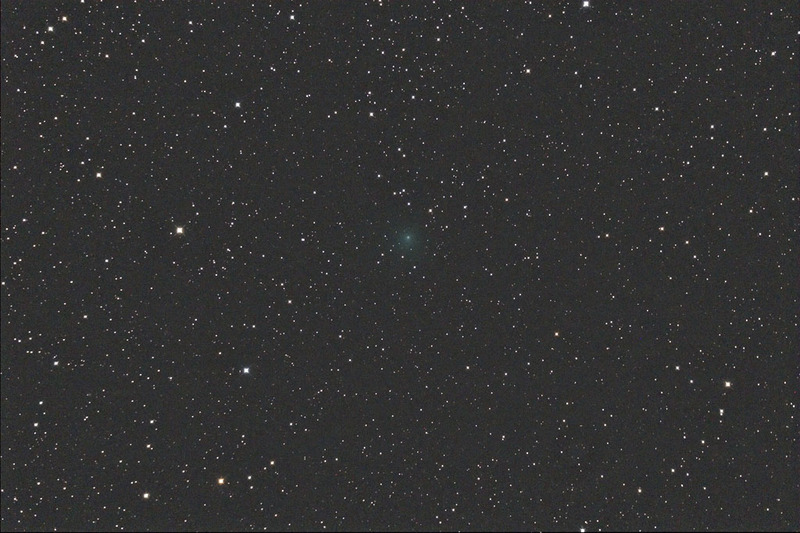 8 - 60-second exposures with a modified Canon 350D, set at ISO 800, through a 20-cm f/2.75 ASA astrograph. Conditions were better this time. 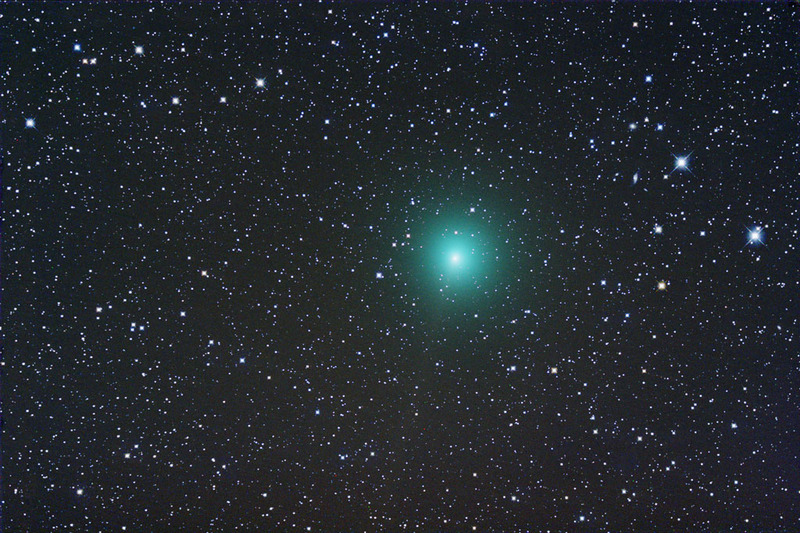 The bright star near the edge is Alray (gam Cep). SQM reading was mag. 20.0 / sq.arcsec. 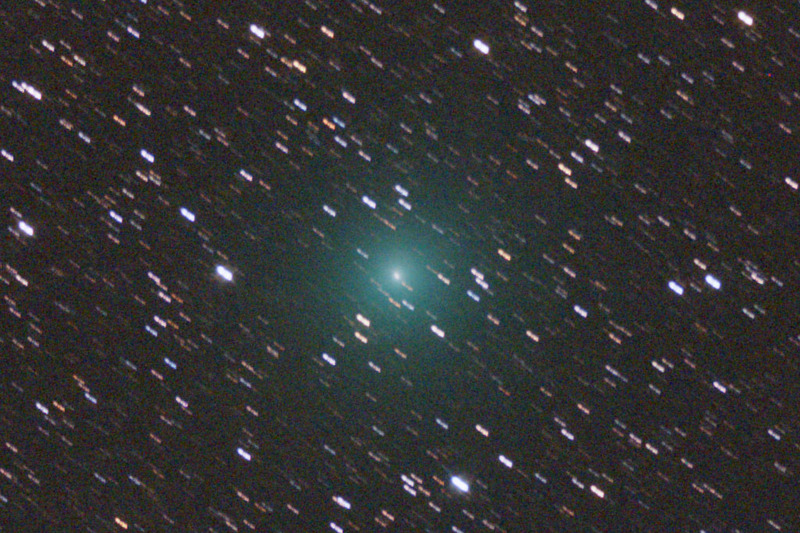 December 9, 2007 between 17:35 and 17:42 UT from Beilen. 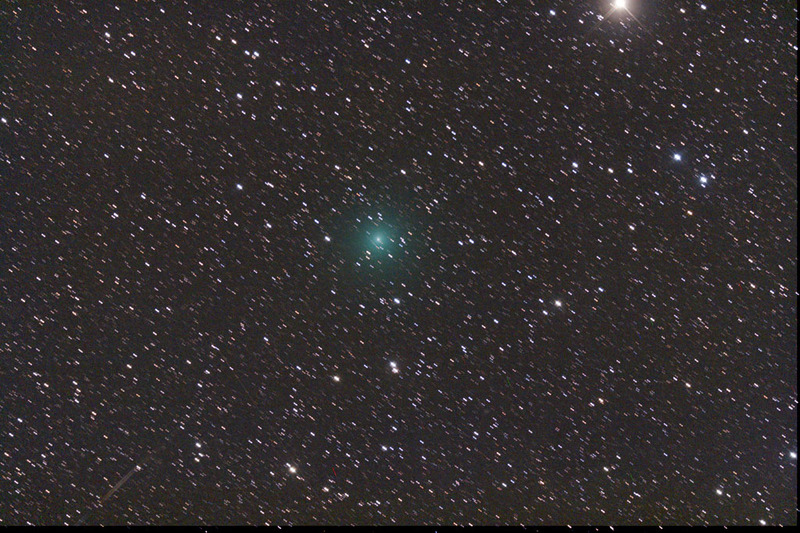 Five 60-second exposures with a modified Canon 350D, set at ISO 800, through a 20-cm f/2.75 ASA astrograph. Interference by high clouds, but it is much brighter than a month ago. November 16, 2007 between 18:40 and 18:50 UT from Beilen. 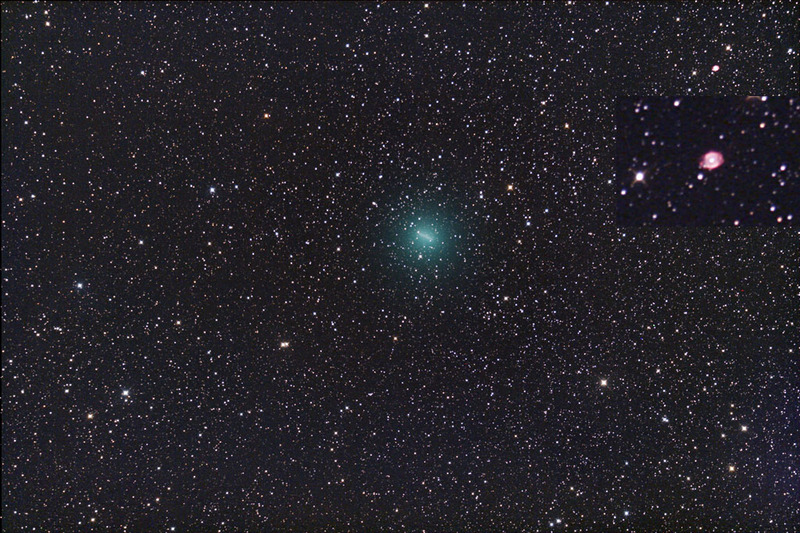 Five 120-second exposures with a modified Canon 350D, set at ISO 800, through a 20-cm f/2.75 ASA astrograph. Still conditions were far from optimal. 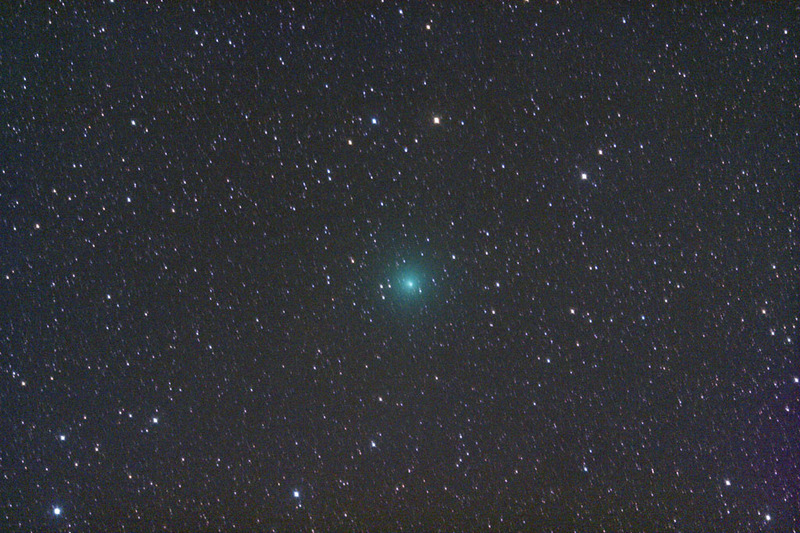 November 15, 2007 between 18:29 and 19:02 UT from Beilen. 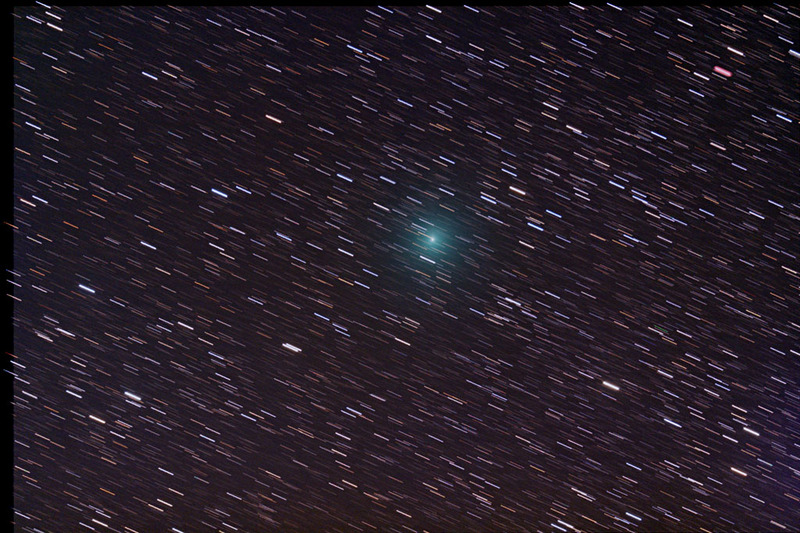 five 60-second exposures with a modified Canon 350D, set at ISO 800, through a 20-cm f/2.75 ASA astrograph.